The Gregg Museum is LEED certified at the gold level for sustainability. In March, the U.S. Green Building Council awarded the certification, recognizing excellence in sustainable construction and design for the 15,850-square-foot addition that hosts the majority of the museum’s gallery space. The Gregg Museum, which includes the addition and the historic chancellor’s residence, opened in August 2017 at its new location on 1903 Hillsborough Street. Perkins+Will is the architect. This is the third university building to earn certification at the LEED Gold level. “We are delighted for the architects and for NC State University that the Gregg Museum’s new galleries addition has achieved this status. It’s something they really deserve to be proud of,” said Roger Manley, the museum’s director. Efficient design that reduces energy costs by nearly 28 percent. The facility’s energy use will be regularly measured to verify energy savings are achieved. Additionally, the building uses low-emitting refrigerants in its air conditioning systems, has low mercury lighting systems and features a reflective roof that reduces heat absorption from the sun. Efficient plumbing and fixtures that reduce potable water use by 22 percent. On the exterior, the building’s native and water efficient plants will reduce water use by 52 percent. Sustainable building materials including more than 25 percent made of recycled content. Nearly two-thirds of building materials came from manufacturers within 500 miles of the site, and half of the wood used in the building is Forest Stewardship Council (FSC)-certified for originating in a responsibly managed forest. Good indoor air quality resulting from use of low-emitting interior adhesives, sealants, paint and flooring. The facility is also regularly cleaned with environmentally-responsible housekeeping practices. Preferred parking spaces for low-emitting and fuel-efficient vehicles, as well as visitors who carpool or vanpool. The facility is also located within close proximity to a bus stop and accessible by pedestrians and cyclists. Additionally, the project earned credits for sustainable construction processes, including management of indoor air quality and diversion of 63 percent of construction waste from the landfill through recycling or reuse. Recently, the Museum was also recognized by the American Institute of Architects (AIA) Triangle Chapter with a 2018 Honor Award for its design, the chapter’s highest level of recognition. 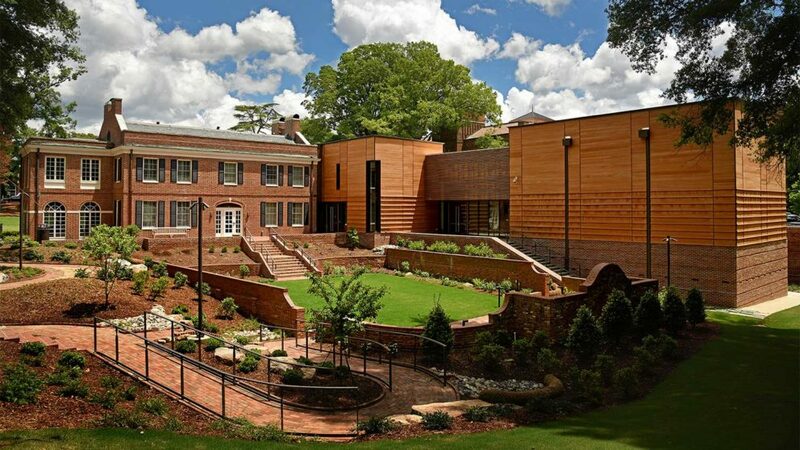 The Gregg Museum addition is the thirteenth university construction or renovation project to earn LEED certification since 2011 after NC State began pursuing a minimum LEED Silver certification for all construction and renovation projects over 20,000 square feet. Published in Buildings, News, Newswire.